ran my first charter yesterday out of Venice since Katrina hit. It is not at 100 percent down there but it is close enough for me. The fishing was pretty good as well. 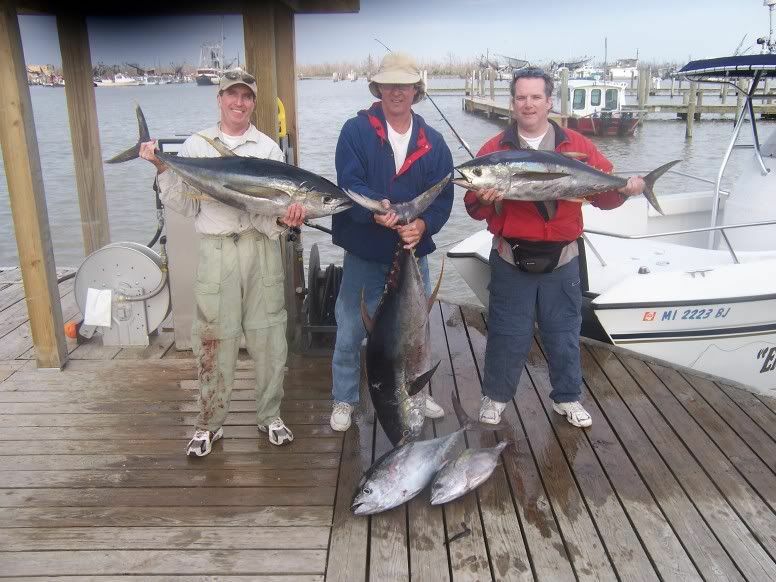 The first rig I hit I didnt see any tuna but I got some live bait off it that was well put to use later in the day. 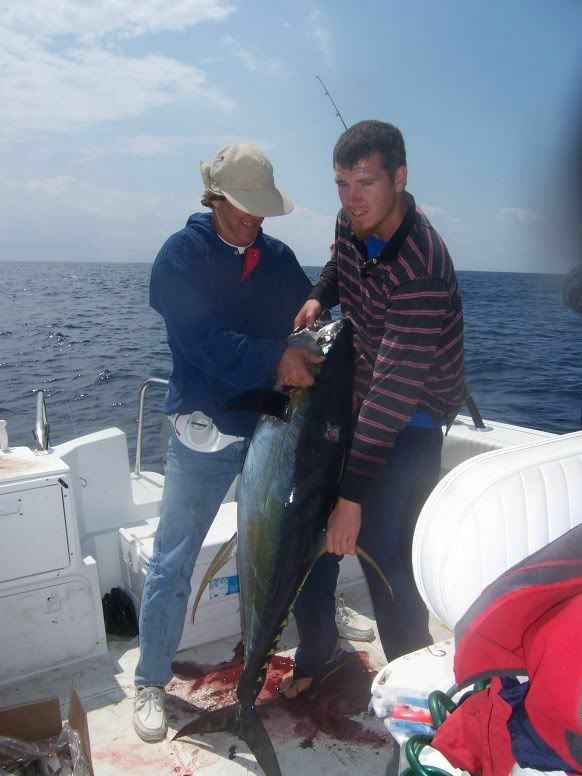 I rolled out south and on the first pass around the floater I picked up a 20 pound yellowfin on a pink mirrorlure. At this point I am real happy. I am back in my home port and I have blood in the box. We trolled around a little more with no success so I dropped back the livies and watched a 80 pounder eat one about 40 feet behind the boat. This fish was a mean fish. The last 20 minutes of the fight we could see him but he was fighting so wildly we couldnt get close enough to gaff him. At one point the fish was underneath the boat and 50 feet on the opposite side with his back sickles sticking out the water. We got even with him though when we stuck a nice big gaff through his head. That rig slowed after that so I hopped arouind a little and dropped the lures back in and picked up two 40 pound fish. One on a squid chain and one on the mirrorlure. Since I still had a couple livies left I dropped one back and instantly hooked up. The guys said they had more then enough fish so we headed in with our five yellows. The water temp was 72 and the color was blue.